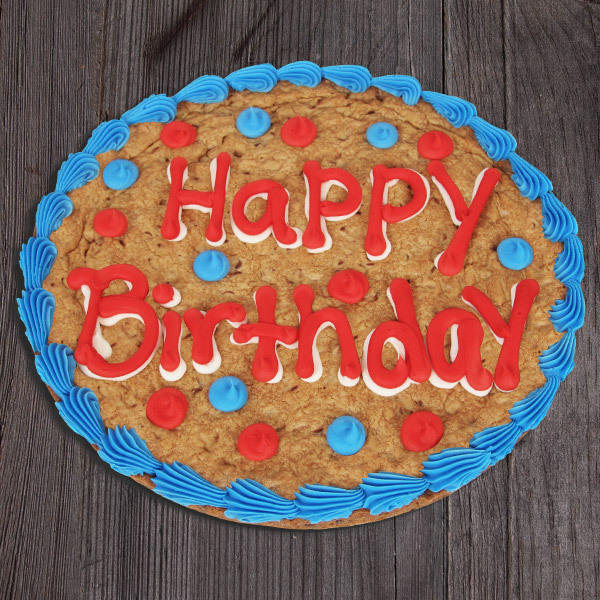 Wish them a happy birthday and many more with this delightful 12-inch cookie! 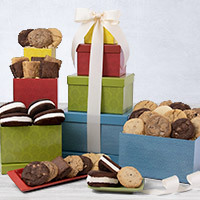 It's loaded with rich gourmet chocolate chips and decorated by hand with festive vanilla frosting to create a bright treat your recipient is sure to enjoy! I bought The Birthday Cookie Cake for a friend of mine who has three little kids. I don't know who was more excited..my friend or the kids LOL I got a call with a thank you and the kids were screaming in the background "Thank you,,We love You!" I sent this to my Sister in law and Brother in Law for their January 16 and January 24th birthday. I normally send an annual Mrs. Field's cookie cake but was never fully satisfied with the customer service and shipping costs to expedite. The Free Shipping option definitely sold me and they LOVED it more than the other cookie cake. Thank you for making Birthday celebrations must sweeter! Cookie showed up right on time. Brother loved it! The happy birthday cookie was a big hit, thank you!!!! I bought this for my son in college across the country...was just like homemade for him! 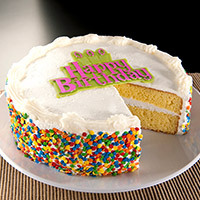 Great gift for someone that has it all and you can’t be there to celebrate their Birthday! Ordered for a coworker and it was a hit! Tasted great! I purchased this cookie for my son who's in the military. 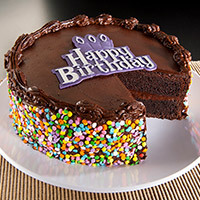 He received it on his birthday and said it looked and tasted delicious! I sent this to a friend for her birthday and she loved it! 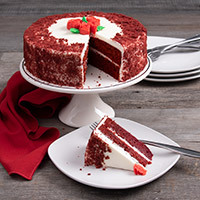 I ordered this for my son for his birthday, he's in college so I wanted him to have some kind of dessert! I chose the cookie and it came looking just like it was supposed too and my son really liked it! Although it was smushed on the bottom icing it was still good! I sent this to my son who is out of state. This is the first birthday we weren't together. He loved it! I got this for my husband because I was away on his birthday. It was fast, delicious, and on c time. I sent this to my son who is 3000 miles away for his birthday. It was delivered on time and he said it was delicious! He sent me a picture so that I could see if it was delivered as advertised...and it was! Would use this company again. I bought this for my daughter in college. Arrived on time and in great condition. Very tasty! I bought this birthday cookie to surprise my husband on his birthday while he was traveling on business. The cookie was delivered to him exactly when it was supposed to be! When it arrived it was fresh, in tact, packaged nicely and it was absolutely delicious! To my delight, the cookie was much larger than I expected it would be and he brought leftovers home for the rest of the family to enjoy. I will definitely purchase this cookie again! I sent this to my son in college and he loved it. It was delivered on time and fresh. I sent a large chocolate chip cookie to my daughter for her birthday. She and her roommates loved it. They said it was the best cookie ever. My son is away at college and I ordered this the day before and it arrived on his birthday. He said it was "awesome". Delivery and product were excellent. Sent to my granddaughter in university. She and her friends loved it!! !